For reservation-forgettors and spontaneous romantics, we have 7 date ideas that stand out. Forgot to book a reservation? Stuck in the dinner-and-a-movie rut? Or are you just unsure of how to impress your valentine? Look no further! 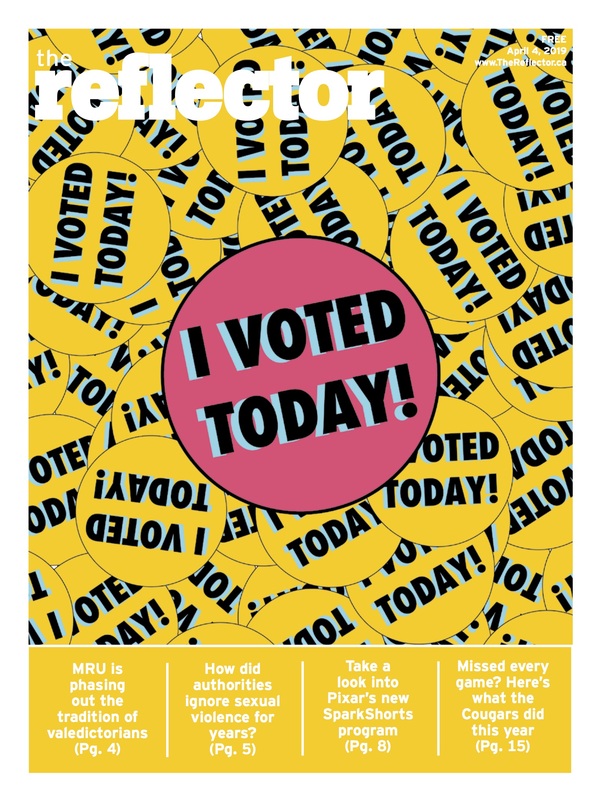 The Reflector has your back with these seven ideas — from the lovey-dovey couple to the laid back, here are some events you won’t want to miss. Adults Only Night at the Telus Spark Centre brings us “Love in the Digital Age” happening on Feb. 13 from 6 p.m. to 10 p.m. This one-of-a-kind event will get the muscle that really matters throbbing – your brain. Tickets are $45. For Trailer Park Boys fans, you can check out Randy & Mr. Lahey “A Valentines to Forget” on Feb. 14 at 8 p.m. at the Gateway at SAIT. Nothing is more romantic than laughing at idiots together. Tickets are $13.50 plus charges. The Vintage Valentine’s Day Dinner is for those longing for good ole days. On Feb. 14 from 5 p.m. to 10 p.m. indulge in candlelight and fancy food at the Selkirk Grille in Heritage Park. Tickets are $84.95 plus GST per person. Tired of going to restaurants on dates? Take over the kitchen together with the Couples Cooking Class at 226 230 8 Ave. SW on Feb. 14 staring at 6 p.m. $75 per person. You can’t go wrong if it has the word ‘extravaganza’ in it, right? 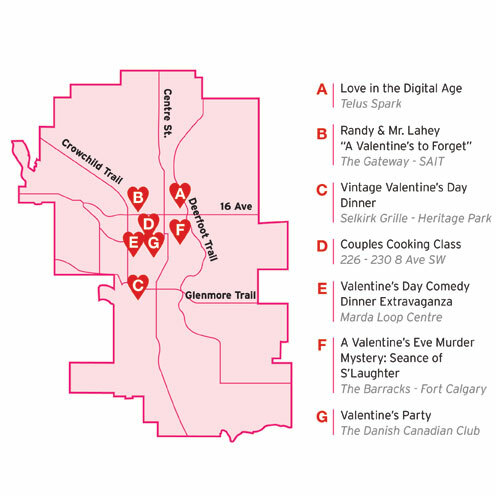 The Valentine’s Day Comedy Dinner Extravaganza is at 7 p.m. on Feb. 14 at the Marda Loop Community Centre. Dinner and a Show package: $89 or just a show: $59. Halloween die-hard even on Valentine’s Day? Check out the A Valentine’s Eve Murder Mystery: Seance of S’Laughter, sneak over to The Barracks, Fort Calgary on Feb.14 from 6 p.m. to 10:30 p.m. Tickets are $90 per person. And last but not least, dance the night away with your special valentine at the Valentine’s Party hosted by the Danish Canadian Club on Feb. 15 starting at 6 p.m. Tickets are $40 for members and $47.50 non-members.